One of the greatest characteristics of humanity is our ability to love, but sometimes love can have very negative consequences on our own health. When a loved one needs care, we tend to put the weight of their world on ourselves. The stress of providing care can cause anxiety, loss of sleep, poor nutrition, and even resentment. A professional home care agency like Affordable Home Care employs qualified caregivers to aide your loved ones so you can get back to focusing on you. If you can’t find time to cook our care services include meal preparation & shopping. If you need sleep we have overnight services. If the time you spend providing care has taken the joy out of your life, a professional senior home care agency can restore your life and give you piece of mind so you can get back to being a spouse, a daughter, a son, a family member, or a friend. 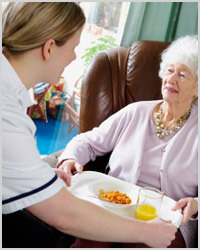 Affordable Home Care respite care services provide your loved one with the professional and compassionate care they deserve, while giving you the much needed reprieve from being their caregiver.